Cygnet Texkimp has worked at the forefront of the fibre processing and handling market for over 40 years. The company was founded in 1974 by eminent British textile engineer and company chairman Colin Smith and his wife Janet to manufacture creel technologies for the traditional textile market. 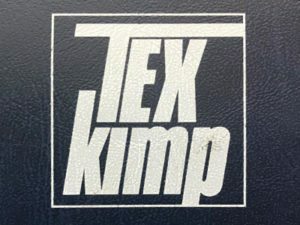 Texkimp, as it was then known, became a pioneer in technical fibre processing with the creation of one of the first ever carbon fibre creels for early adopters in the military aerospace sector of the 1970s. As the high performance fibre market grew, Texkimp’s reputation spread among fibre converting companies and it began to secure business in North America and Western Europe before heading into Eastern Europe, the Middle East, and the developing economies of China, India and Vietnam. Colin and Janet’s son Matthew Kimpton-Smith joined the family business in 1996 before taking overall leadership and creating Texkimp’s parent company Cygnet Group in 2006. Today, Cygnet Texkimp remains a progressive and innovative British engineering company firmly rooted in international markets. We create long-term partnerships with customers and other equipment manufacturers (OEMs) that deliver greater value and benefit than standard customer-supplier relationships. We offer unparalleled levels of flexibility and innovative approaches to working together in order to support our customers’ business objectives and allow our partners to benefit commercially and technically from our core strengths. This approach includes working under complete confidentiality with customers who seek extra practical assistance and expertise as they develop their in-house processes. 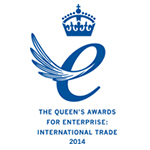 Cygnet Texkimp won the Queens Award for International Trade in 2014. The Queen's Awards for Enterprise are the most prestigious accolades for businesses and individuals in the United Kingdom and recognises outstanding achievements by UK companies in three categories: International Trade, Innovation and Sustainable Development. 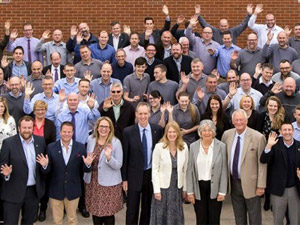 Composites UK is the Trade Body for the UK composites industry. Their aim is to support the industry so that it may continue to grow and participate in the increasingly competitive world of global composite production. Successful innovation needs a foundation of experience and expertise, and UK textile machinery firms are known for their leadership in technology development in all areas of textile production. Virtually all of today’s textile manufacturing processes – from the carding, spinning, weaving, knitting, tufting and nonwoven bonding of fibres through to advanced colouration, finishing and printing techniques – can be traced back to British patents and research and development somewhere along the line. 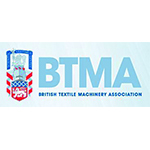 The country’s vast textile machinery heritage puts many of the BTMA members at the forefront of their fields.